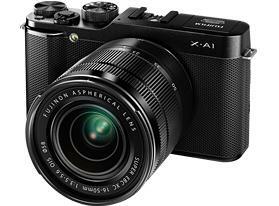 FujFilm the popular camera manufacturer has launched the Fujifilm X A1 with interchangeable lens. The specifications of the device are quite impressive. It comes with 16 Megapixel large APS-C CMOS sensor and the EXR processor II. The camera has support for a maximum 25,600 ISO. It has WIFI connectivity that makes the transferring of Images via paired WIFI devices. The Fuji X-A1 comes with 16.3MP (APS-C) CMOS image sensor and has ULTRA Sonic Vibration sensor cleaning system. It can capture still images of up to 4896 x 3264pixels resolution and can record Full HD 1080p videos at 3ofps in H.264 format with Linear PCM stereo audio. It has USB 2.0 high speed connectivity port, HDMI mini connector, Wireless Transmitter (Wi-Fi) and remote release terminal for RR-90. It is powered by NP-W126 Li-ion battery that comes inside the box pack of XA1. The 3.0 inch TFT color LCD monitor has 960K dots resolution, with ability to tilt LCD display up / down up to 90 degrees. At the top of the desk is Pop-UP flash. It takes SD memory card / SDHC memory card / SDXC (UHS-I) memory card and memory card should be of Class. You can always change the lens according to shooting requirement and your needs. 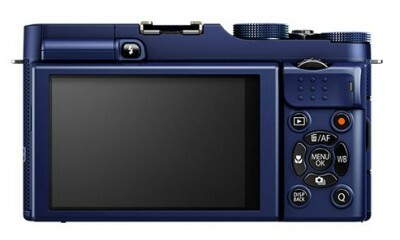 It comes with f/3.5-5.6 24-76mm equivalent kit lens.There is dedicated button for WIFI and a Quick Menu button as well. To make the camera more approachable there is mode dialer. In weighs 330 grams which is lighter than most of DSLR cameras. Check out sample images of Fuji X A1. FUJIFILM X-A1 price – $600.